LONG BEACH, CA (Laserfiche) Jan. 9, 2009—Laserfiche® today announced a strong lineup of guest speakers from the government sector for its 2009 Laserfiche Institute Conference to be held at the Hilton Los Angeles Airport, January 12-14, 2009. The conference will provide participants with a variety of sessions and technology resources geared toward improving productivity. 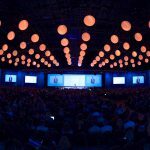 Presentations will focus on company case studies that demonstrate how electronic document management is used for customer account management, regulatory compliance, and business expansion. 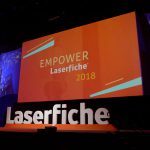 The speakers will discuss how using Laserfiche technology has enhanced their organization’s productivity and improved their return on investment. Chuck Chlarson, Records Manager, Mohave County, AZ—Making Different Departments Efficient Using a Single DM Solution. EnerGov Solutions—Bringing Permitting and Land-Use Functionality to Laserfiche. For a full schedule of exhibits, sessions and speakers, please visit the conference Web site. Or, if you would like to learn more about Laserfiche and its suite of products, please visit www.laserfiche.com. Laserfiche® creates simple and elegant document management solutions that help organizations run smarter. 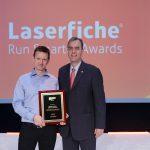 Since 1987, more than 25,000 organizations—including numerous federal, state and local government agencies and departments—have used Laserfiche software to streamline processes for managing documents, records and workflow. By digitizing paper archives, Laserfiche enables users to instantly pinpoint the information they need, collaborate more effectively and complete daily tasks more efficiently. Secure Web access allows governments to easily share information with other agencies and with constituents, while comprehensive security options protect information from unauthorized access or release. Records management functionality also ensures compliance with a range of standards, including Department of Defense (DoD) standard 5015.2.